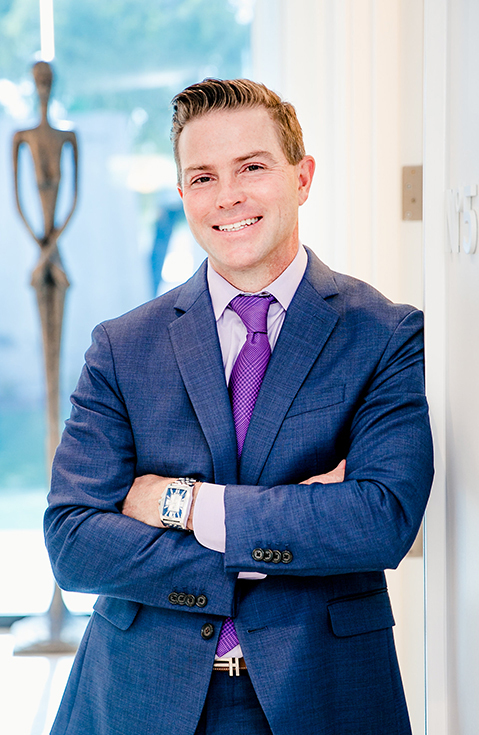 Dr. Gawley has become one of Arizona’s most sought-after plastic surgeons, spearheading his practice growth based on extensive credentials, cutting-edge training and experience, and a compassionate bedside manner. Board-certified by the American Board of Plastic Surgery, Dr. Gawley has created a full spectrum practice that includes, Gawley Plastic Surgery, North Scottsdale Outpatient Surgery Center, and his clinical skin spa–MDSkin® Lounge. He is the former Chief of Plastic Surgery at HonorHealth Scottsdale Shea Medical Center and has been voted “Top Doctor” by his peers for six consecutive years. Dr. Bryan Gawley is most proud of his reputation for outstanding patient outcomes combined with his branded level of exceptional customer service. He also stands out from other surgeons through his true passion to make an impact in others’ lives. MDSkin® ® – The Lounge and The Bar is my concept of an elegant and fun location to create an amazing experience. Dr. Gawley moved to Arizona in 1986. He attended Junior high and High school in Mesa, Arizona and then attended the University of Arizona for undergraduate studies and Medical School. He completed his general surgery and plastic surgery residency at the University of Texas Medical Branch in Galveston from 2000-2005, and then returned to Scottsdale in the summer of 2005, at which time he started his plastic surgery practice. Contrary to most doctors, Dr. Gawley really did not know that he wanted to go into cosmetic and plastic surgery until pretty late in the game. He decided to attend medical school in lieu of an offer to work for Merck as a pharmaceutical sales rep. During medical school, he quickly knew that he enjoyed surgery. He gravitated towards plastic surgery as it fit his personality and really required a passion for anatomy, problem-solving, and artistry. Plastic surgery and aesthetics have allowed him to grow his entrepreneurial spirit and business interests as well. Dr. Gawley has now been in practice for 12 years, and his true satisfaction is in making a difference in the lives of others. Gawley’s most recent career success is the opening of MDSkin® Lounge, which celebrated its first anniversary in November 2016. MDSkin® Lounge was developed on Dr. Gawley’s belief that the natural leaders in the skin care and med spa business should be plastic surgeons and dermatologists, not businesses looking for a profit. Now, Dr. Gawley and his staff are offering state-of-the-art, non-surgical facial and body contouring procedures such as the Silhouette Lift, Ultherapy and Kybella for facial contouring, and CoolSculpting for body contouring, as well as an extensive menu of options for facial fillers and laser services. Last, but not least, Dr. Gawley believes in educating his patients. “My vision of excellence includes educating patients on how to achieve and maintain healthy skin,” he says. While Dr. Gawley has an impressive career built on 13 years of education and training and an artistic eye, it’s his staff that he credits with setting his practice apart from others. “I am continually amazed at their teamwork and compassion to provide patients with the best possible experience from the first point of contact on the telephone through their last post-operative appointment,” Gawley says.